If you want to give your home’s exterior a face-lift, a fresh coat of paint goes a long way. Whether you’re getting ready to sell or simply stepping up your curb appeal, painting the exterior of your home takes careful preparation and proper planning. From selecting a color to prepping the surface, we spoke with the experts at Benjamin Moore to get all the tips you need to paint your house like a pro. Consider the homes surrounding yours - are you looking to blend in or stand out? In many neighborhoods, you’ll find similar paint palettes. But in others, you’ll find every color of the rainbow. Choose a color that fits your personal taste, but also complements the neighbors’. Keep the style and history of your home in mind. If your home boasts intricate Victorian details, you might opt for a bold color to help them stand out. By contrast, simplistic Spanish stucco homes with terra cotta roofing tend to favor neutral tones. Elements like the roof, shutters, your front door and even your landscaping can impact your color choice. Be sure to consider the bigger picture to select a color that pulls the entire look together. Most importantly, choose a color that reflects your personal aesthetic. You might consider bringing interior color schemes out to the surface. Do what makes you happy. 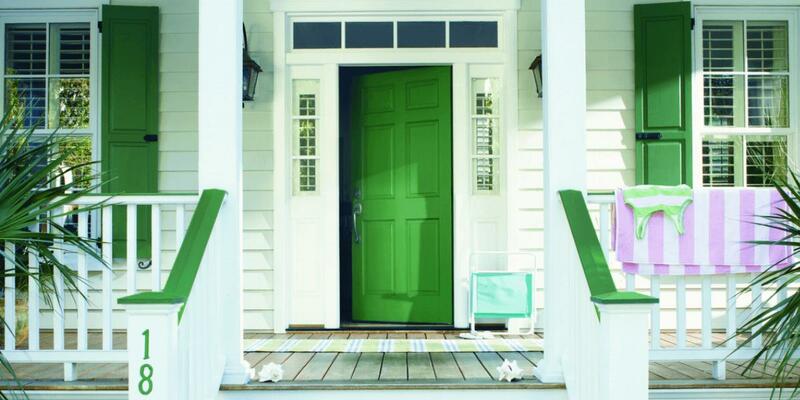 After you nail down the color, the next step is to find the right type of paint for your home’s exterior. If the existing paint on the house is oil-based, use oil-based paint. And if the paint is latex or water-based, use latex paint. If you use the wrong kind, your paint will peel prematurely. Spotting the difference is easy. Simply rub some denatured alcohol on a small area with a rag. If your home is painted with latex, some paint will come off on the rag. Be sure to check other parts of your exterior like windowsills, doors and trim. Flat/matte finishes are great for hiding imperfections. Satin offers a slight sheen and works best for surfaces requiring regular cleaning. Gloss is durable and easy-to-clean, making it great for doors and accent trim. High gloss can reveal scuffs or blemishes, but adds shine to entry doors and decorative surfaces. Homes built before the 1970s were often coated with lead-based paint. Exposure to the flakes or dust can cause serious health problems when inhaled, especially in children and pregnant women. Purchase a test kit from your local paint store to ensure that your home is lead-free. If positive, consult a professional for safe removal. For more information on lead exposure, call the National Lead Information Center at 1-800-424-LEAD. Preparation is the key to success. Before you bring out the paint and ladder, make sure your home’s surface is clean, dry and smooth. For best coverage, use a press washer to remove dirt, mildew and chips from the side of your house. If you don’t own a power washer, you can rent one at your local home improvement store. After cleaning, let the house dry completely over one to two days. Use a triangle scraper and sandpaper to chip away and smooth down any imperfections. Caulk any cracks or holes with a professional grade silicone caulk to prevent moisture from seeping into the wood. If you are painting bare wood, keep in mind that you will need to prime the exterior first. Paint requires a temperature of at least 50 to 55 degrees Fahrenheit to dry properly. Although a sunny fall day may seem ideal, temperatures can drop significantly in the evenings. Plan to paint your home when temperatures will be consistent for the best results. Also, make sure the forecast doesn’t call for rain. Always have a spotter while working on a ladder. Use drop cloths, trash bags and tape to protect doors, windows, landscaping and light fixtures from drips and spills. Do you have tips for painting the exterior of your home? Let us know in the comments below. Freezing temperatures, wind, ice and snow can all cause damage to your home. 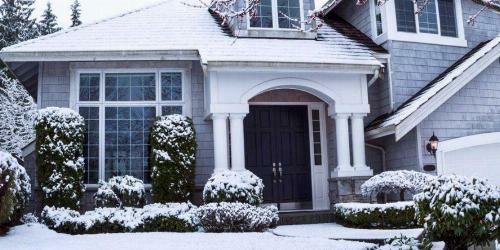 Read our list of winter home maintenance tips to prep your home for the colder months. 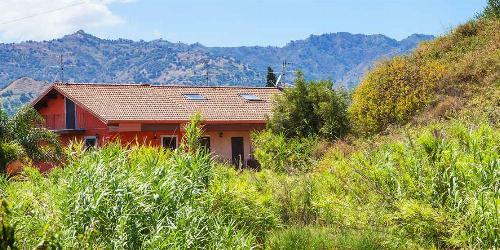 Is your backyard overgrown? Learn the best way to clear brush and undergrowth out with our how-to guide. Discover the best hand and power tools to get the job done and reclaim your yard.